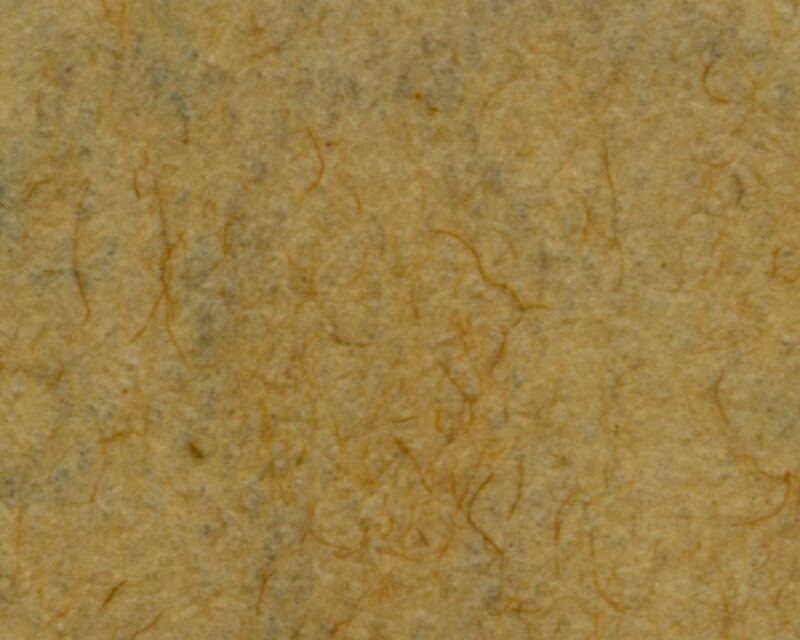 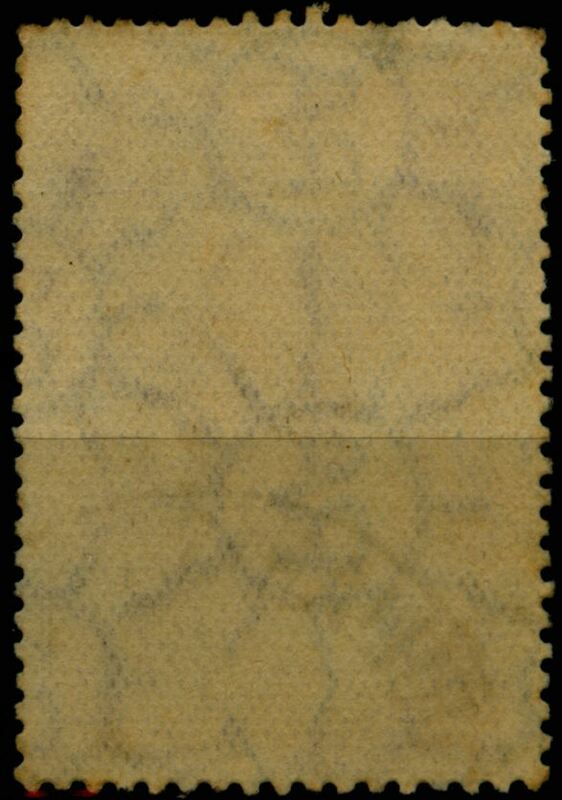 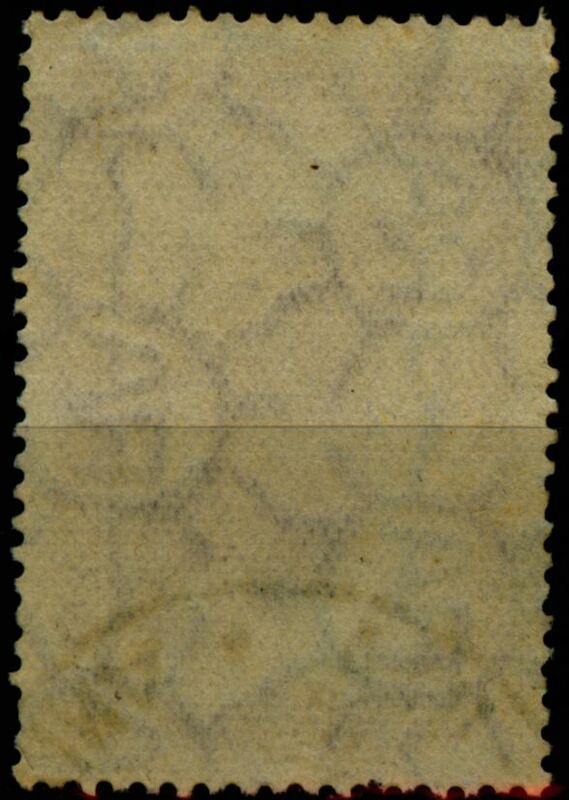 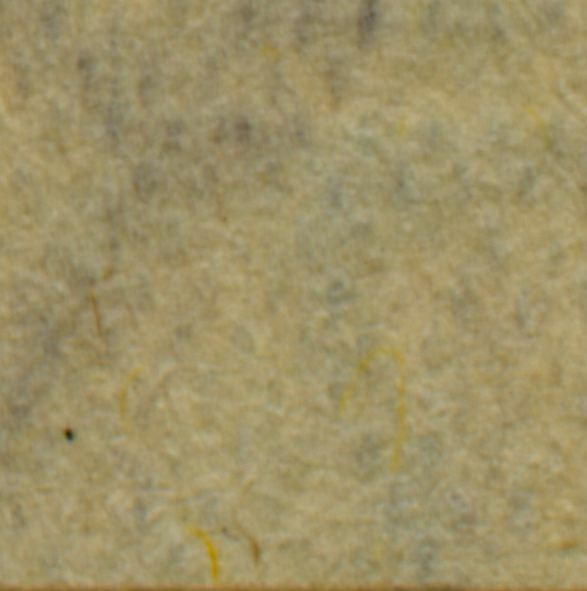 The 30c Wool with brown fibers in the Wiggins Teape paper - parallel watermark, symmetrical paper wire, density 30/20! 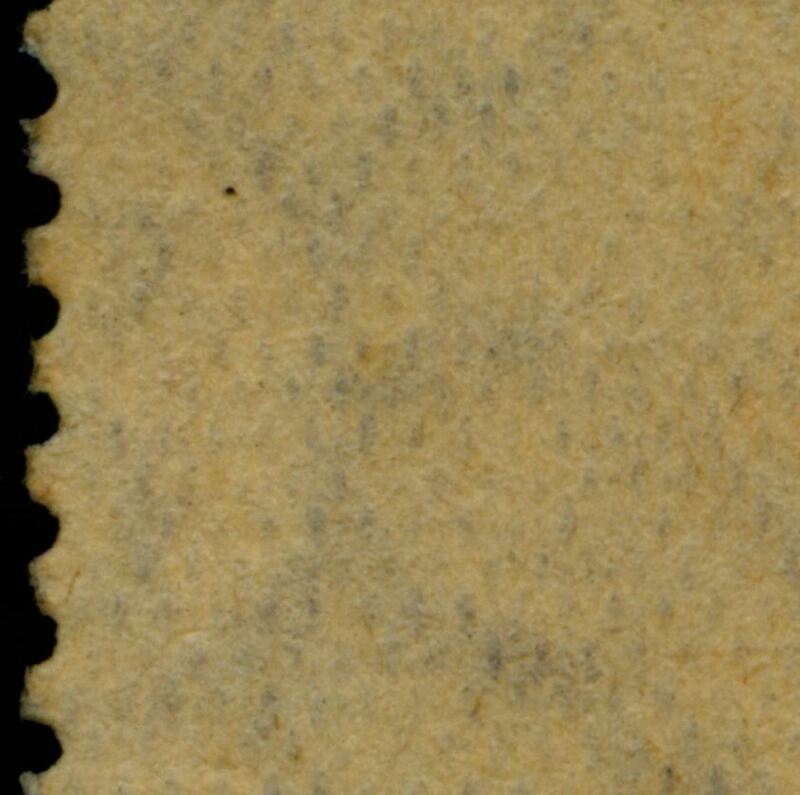 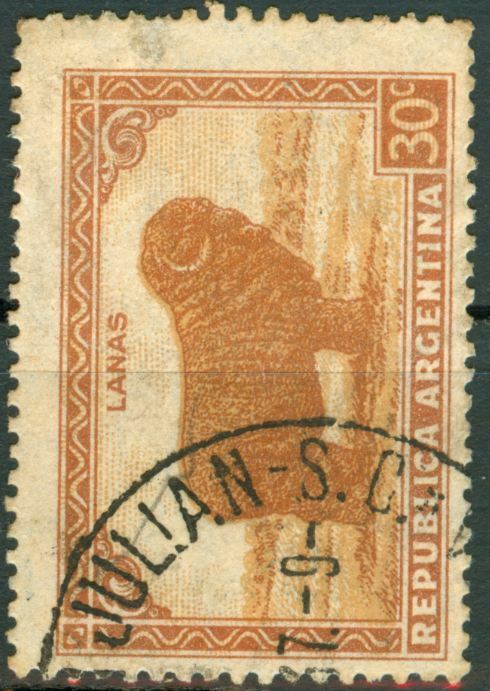 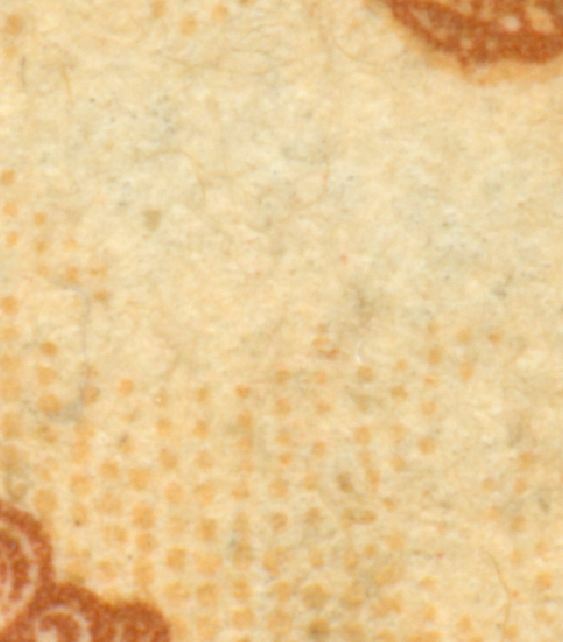 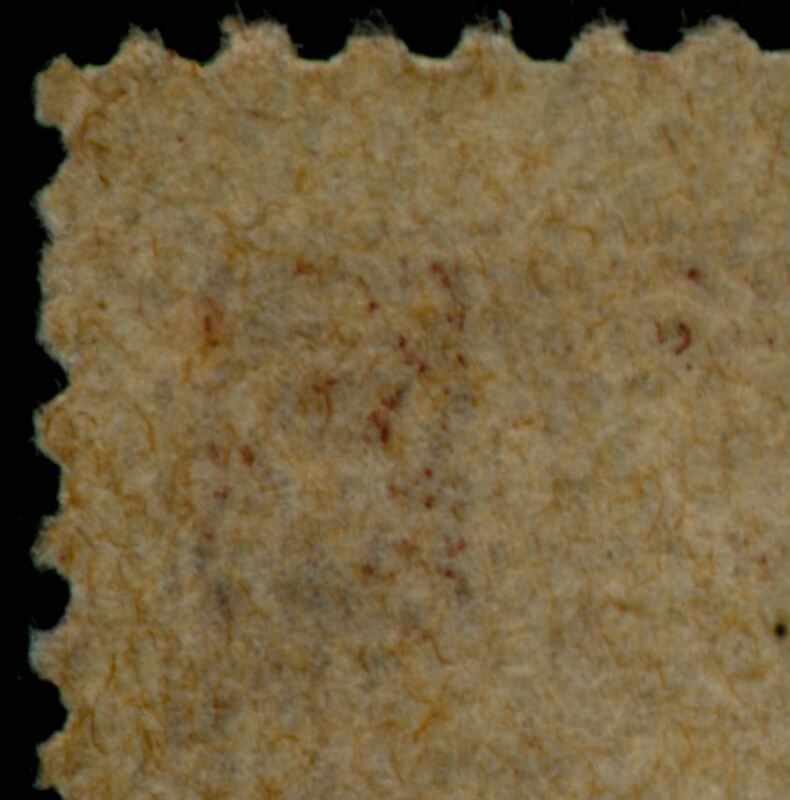 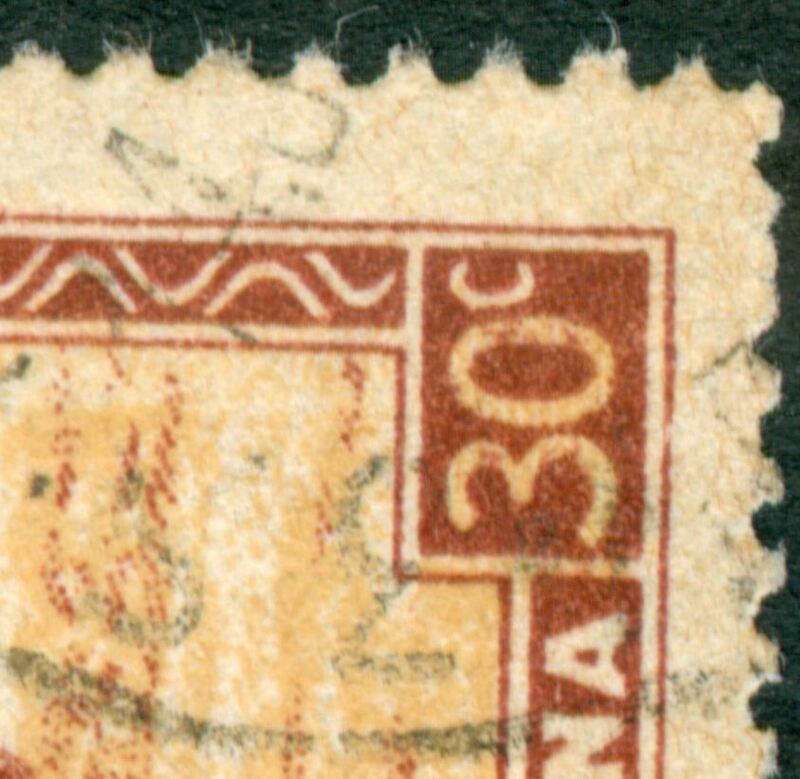 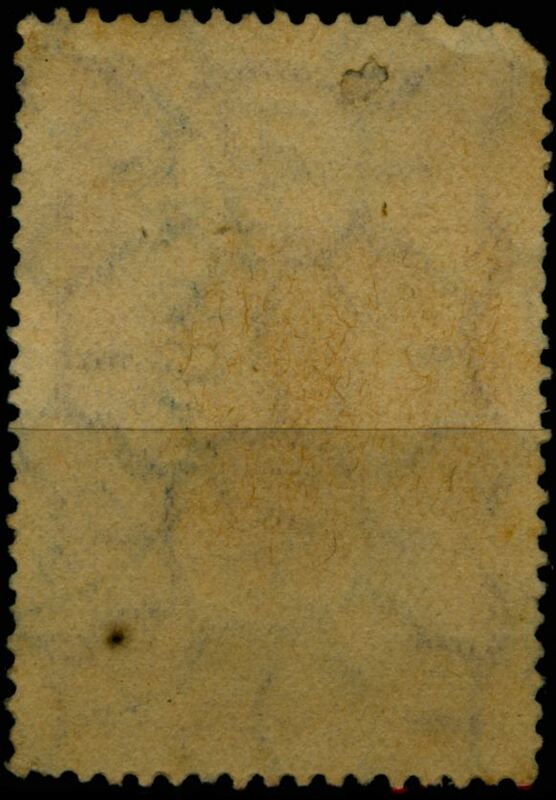 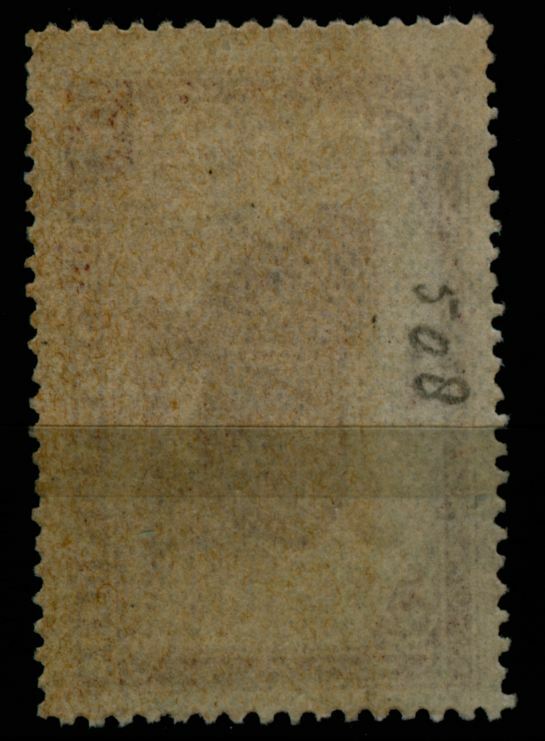 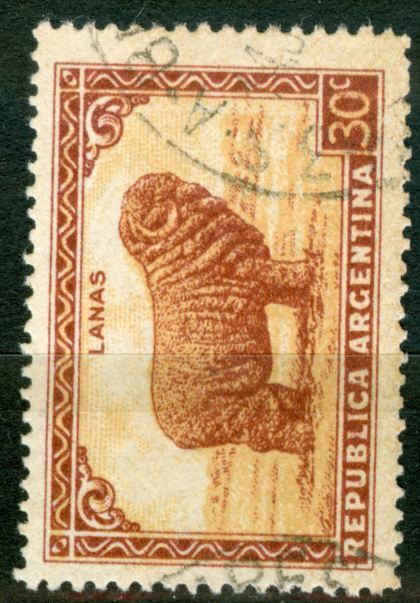 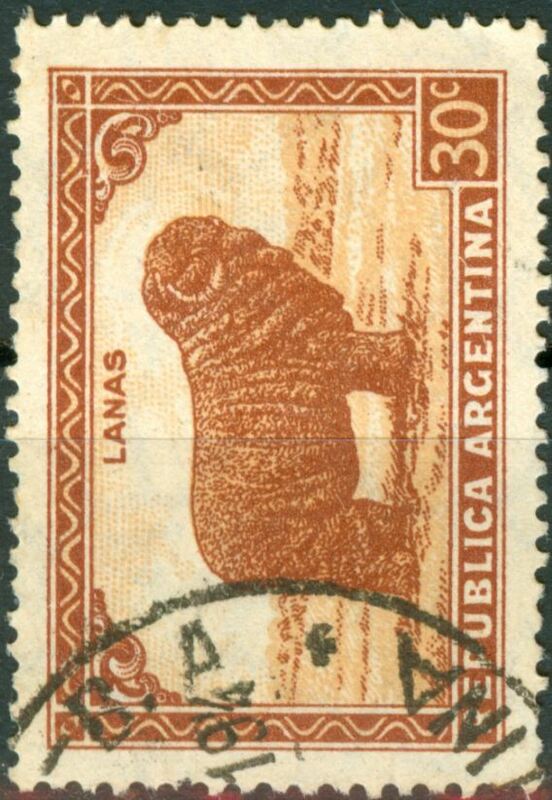 this looks indeed like the Wiggins Teape uncoated paper with an orthogonal watermark, asymmetrical paper wire and direction of paper parallel to the small side of the stamp! 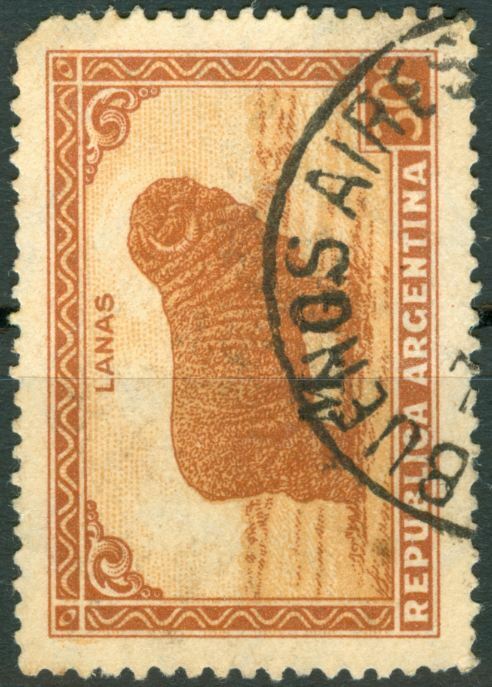 MI 6 or Mate Importado rayado horizontal! 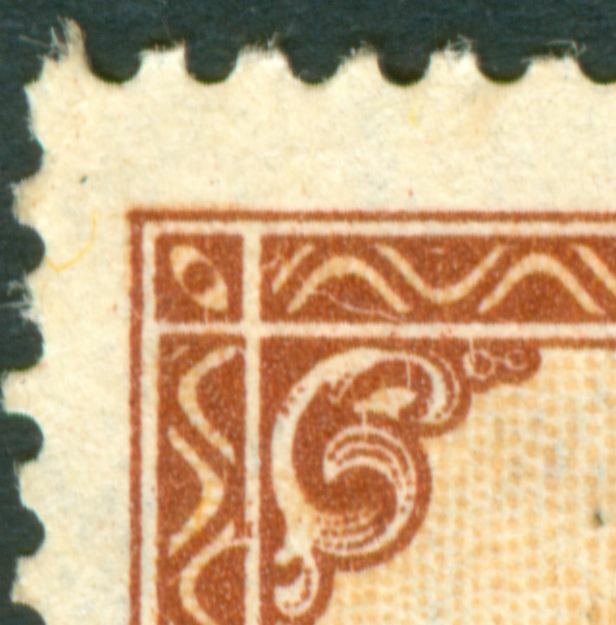 In use since 1951! 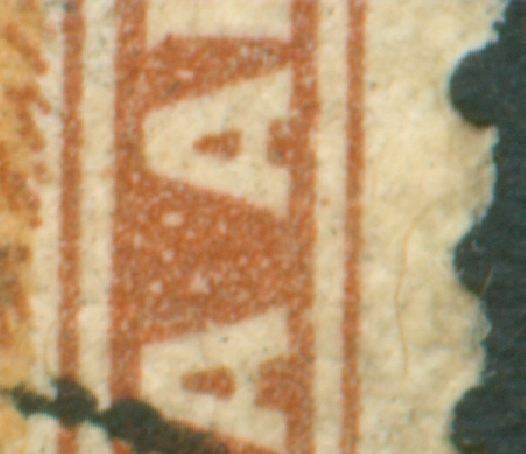 It can be confused with the Rayos Rectos Nitidos but that one has a more fluffy surface and the vertical distance between two lines of AЯ that are the same is 35mm instead of 30mm for the MI 6.
this an orthogonal watermark with a symmetrical paper wire, direction of paper vertical!